Kimberly Guilfoyle is a famous American media personality, attorney, and television host; best known as a co-anchor of the popular Fox News show titled The Five. Before her TV career kicked off, she worked as a San Franciscan prosecutor as well as an assistant District Attorney in Los Angeles and San Francisco. Interestingly, Kim is also a former First Lady of San Francisco. She served in the position from 2004 to 2006 while she was married to Gavin Newsom; the former mayor of San Francisco. 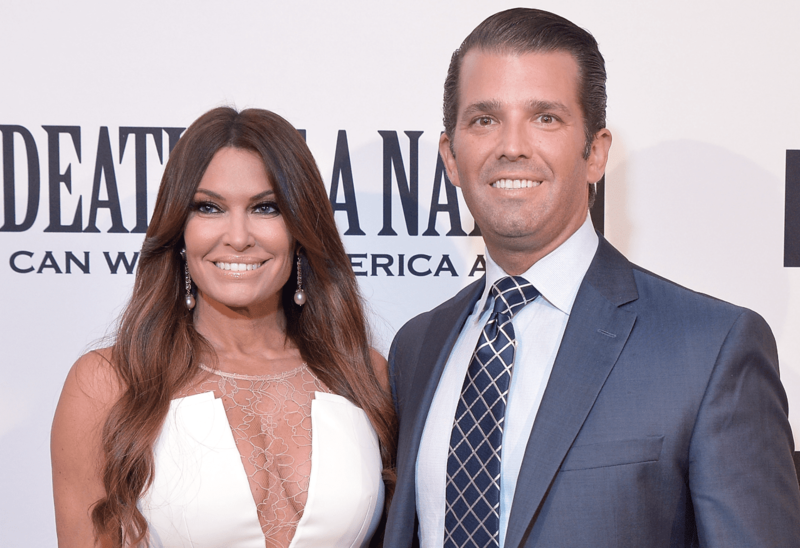 Learn more about Kimberly Guilfoyle’s bio, age, husband, height, and other interesting facts below. Kimberly Ann Guilfoyle first stepped into this world on March 6, 1969; she was raised in San Francisco by her Puerto Rican mother named Mercedes and Irish father named Anthony Guilfoyle. Her mother worked as a special needs school teacher and later died of leukemia when Guilfoyle was just eleven. Also, her father served in the US Army for four years and when he was discharged; he started working as a real estate investor as well as an advisor to former San Francisco mayor Gavin Newsom. He also kicked the bucket in 2008. Growing up in a core Catholic setting, Kim completed her basic education from an all-girls Catholic school called Mercy High School. She graduated with distinction from the University of California and also got her Juris Doctor degree from the University Of San Francisco School Of Law in 1994. After her graduation, she went on to further her studies at the Trinity College, Dublin and while she was there; she published research in European Economic Community law and International children’s right. Upon graduation, Kimberly Guilfoyle started her career as a prosecutor in San Francisco until 1996. She was among the fourteen prosecutors who were relieved of their duties when district attorney Terence Hallinan was elected into office. After that, Kimberly moved to Los Angeles where she got employed as a Deputy District Attorney for four years. Afterwards, Hallinan in the San Francisco District Attorney’s office hired her and she executed the duties of the assistant District Attorney from 2000 to 2004. Through the job, she became widely recognized following the high profile cases attached to her name. In 2004, Guilfoyle made her first movie appearance in the movie titled Happily Ever After where she played the role of a Public Defender. Later on, she moved to New York City where she became the host of Court TV program called Both Sides in the same year. She also appeared as a legal analyst on Anderson Cooper’s 360 degrees. Two years later, she joined Fox Network channel where she became the host of the weekend show titled The Lineup in 2006. After the program was scrapped; Kimberly started hosting Fox’s panel talk show titled The Five alongside Greg Gutfeld, Dana Perino, Eric Bolling, among others. Her career at Fox Network kicked off 2006 and ended in 2018. Aside from The Five, Kim has also appeared on other shows such as The O’Reilly Factor, Outnumbered, Hannity, Fox and Friends, and On the Record, just to mention a few. She released her semi-autobiography titled Making the Case: How to Be Your Own Best Advocate in 2015. She announced her departure from Fox Network in July 2018 after which she joined Pro-Donald Trump Super PAC. Although there were speculations she was forced to leave her position on the network following cases of a sexual allegation and emotional abuse, she has not made comments on the speculations. Kimberly Guilfoyle has been experiencing a blossoming career, but the same can’t be said of her love life. The gorgeous lady has been married twice and the two marriages ended in divorce. Her first marriage was with Gavin Newsom, the former mayor of San Francisco (2004 – 2011) as well as the current Lieutenant Governor of California. Newsom was born and raised in San Francisco, California where he attended Redwood High School. He further obtained his bachelor’s degree from Santa Clara University after which he began his political career in 1996. After serving as the mayor of San Francisco in 2011, Gavin was voted in as the Lieutenant Governor of California from 2010 to date. He is currently vying for the office of the Governor of California with the election coming up in November 2018. Kim and Gavin met each other several years ago while she was serving as the San Francisco prosecutor and legal commentator on CNN at the time. They tied the knot at Saint Ignatius Catholic Church, San Francisco in December 2001. After four years of marriage, the couple went their separate ways, citing being busy with their respective careers as the reason for their divorce. Their divorce process was finalized in February 2006 and they didn’t have any kids from the marriage. After the divorce, Gavin went on to marry an actress named Jennifer Siebel with whom he now has four children. Kim also married an American interior designer named Eric Villency. Eric is the CEO of Villency Design Group; he was born and raised in New York City. He graduated from the University of Wisconsin. The couple had a brief relationship in 2005 and in 2006; they exchanged marital vows at the island of Barbados. They welcomed their first bundle of joy, a son named Ronan Anthony on 4th October 2006. The pair continued to enjoy a blissful marriage until 2009 when their relationship turned sour. Kim filed for divorce and the couple went their separate ways in June 2009. While there’s no news of Kimberly’s subsequent relationships; Villency, on the other hand, went on to marry a Swedish interior designer named Caroline Fare. Their marriage lasted from 2013 and they got separated in 2017. Surprisingly, in May 2018, speculations began to swirl that Kim has been having a secret relationship with Donald Trump Jr. The rumors began after the pair was spotted together at an event. At the time, Trump was going through a divorce with his wife Vanessa Trump. Meanwhile, Kim has been friends with Trump’s family for so many years. The duo has not confirmed their relationship yet and we hope to keep you guys posted when we have information on that. Kimberly Guilfoyle is very beautiful with an impeccable personality. She has an average height of 5 feet 2 inches which is three inches below the average height for American women. Kim has an hourglass body shape with seductive body measurements (breast-waist-hips) of 36-25-35 inches. She wears a bra size of 32C and weighs 143 pounds. Additionally, she wears a shoe size of 8 (US) and a dress size of 4 (US). Her hair is dark brownish in color while her eyes are light brown.